Copenhagen, the capital of Denmark and my gluten free capital of Scandinavia! Every meal I gobbled up in this wonderful city was truly delicious. 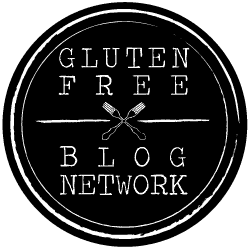 As a coeliac it was also refreshing to have more than one or two gluten free menu choices to choose from in every restaurant that I visited. At Christmas Copenhagen is really special. The Christmas markets that pop up around the city are great to explore, with lots of local crafts on offer and of course mulled wine (which must be consumed for warming purposes!). There are usually a variety of food stalls at these markets too; chocolate covered fruit seemed to be popular and a really delicious gluten free treat! The days are short in December, with the sun setting at around 3:30-4pm, which adds to the cosy, wintery atmosphere. It is also the perfect excuse to slope off into a restaurant, to keep warm and enjoy some good gluten free food. There are an abundance of restaurants that serve gluten free meals in Copenhagen and every cuisine seems to be catered for. From a gluten free burger to gluten free pizza (leave the calorie counting at home), I found the food here was exceptional. Tight Hyskenstraede 10, Copenhagen 1207. This is a really cool place, hidden away down a small alley it would be easily missed, but make sure you don’t! It served the BEST gluten free burger (what an accolade!) I have ever eaten, served on tasty gluten free bread, which is hard to come by. The place has a funky ambience created by the dim lighting and indie music, definitely a place to not be missed. Simpleraw Gråbrødretorv 9, 1154 København K, Copenhagen. You can’t help but feel healthy once you’ve finished your meal here. They serve lots of gluten free food as well as vegan and vegetarian dishes. Try the Poke bowl; a yummy gluten free meal consisting of a variety of veg and tofu. Friendly service too. Costa D’Hellerup Kildegårdsvej 15, 2900 Hellerup, Copenhagen. Pizza. Gluten free pizza. Heaven! They are able to make pretty much every pizza on their menu with a gluten free base and be assured, they are delicious! It’s hard to find gluten free pizza bases that aren’t like eating cardboard, but at Costa D’Hellerup they have certainly achieved it, yum! Kodbyens Fiskebar Flaesketorvet 100, Copenhagen 1711. I don’t think a trip to Denmark would be complete without sampling a fish dish, the Danes do love their fish after all. So a trip to fish restaurant Kodbyens is must. Most of the meals on the menu can be adapted to be gluten free and the waiters were more than happy to explain how the meal could be adapted, once I had explained to them about my gluten allergy. Naturbageriet Frederiksborggade 29, Copenhagen 1360. Gluten free cake is something to get really excited about and this bakery has so many choices! So many choices = So much excitement. The cinnamon rolls are highly recommended, as is the banana cake. Top tip: Come here at the beginning of your trip and take a few away to keep in your hotel mini bar fridge; the perfect hotel room snack! So, are you a coeliac looking to book your new European getaway? Make it Copenhagen!